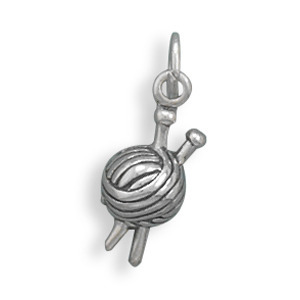 If you like to knit this wonderful ball of yarn with knitting needles charm will make a wonderful addition to your collection! This brand new charm is a solid genuine stamped .925 sterling silver charm measuring 16.5 millimeters by 7 millimeters! We carry over 800 different charms in our inventory so if you don't see what you are shopping for be sure to contact us!